UltraTrust.com looks at a sad trend among professional athletes whose questionable money management screams for effective estate planning and asset protection strategies that will make certain their huge contract's will last them a lifetime. Adam Molon of CNBC on January 31, 2014 reported on NFL quarterback Vince Young’s Chapter 11 bankruptcy protection filing in the Southern District of Texas (1). “CNBC underscored the unfortunate fact that Young is only the latest financial casualty among a string of NFL players who have gone from earning millions to coping with insolvency and limited prospects.” Says Rocco Beatrice, Managing Director of Estate Street Partners and parent company of UltraTrust.com; a firm dedicated to estate planning and asset protection for clients of all levels. The inauspicious trend of professional athletes going broke picked up considerable interest in the midst of the Great American Recession thanks to a groundbreaking investigative report published by Sports Illustrated (SI) in March 2009. 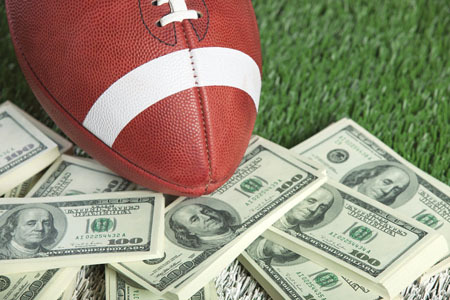 “How (and Why) Athletes Go Broke” (2) revealed that nearly 80 percent of NFL players fall into serious financial hardship three years after they stop playing. Their research goes on to say that the situation is marginally better in the NBA, where 60 percent of players are nearly penniless five years into their retirement. MLB players face a similar situation. When executed correctly, many players can protect their assets and defer most of their income taxes while they are in the highest tax bracket and make sure that they have enough money for the rest of their lives. On average, according the SI article, NFL careers tend to be short and lucrative. In just three years, players can earn $4 million and move on to the next stage of their lives. Vince Young is currently a free agent; he has spent most of his last two years away from the gridiron and embroiled in a couple of lawsuits related to a loan gone wrong. According to an MSN Money article, Young’s insolvency can be traced to bad investment choices, overspending and a lack of an effective asset protection strategy (3). Yahoo Sports sheds some light into Young’s legal troubles: During the NFL lockout in 2011, Young reportedly obtained a $1.8 million cash loan through his financial advisor (4). Young claims that he never received the loan proceeds, and the amount he allegedly owes has ballooned to $2.5 million. Young is hardly the first NFL superstar quarterback to get financially sacked according to USA today; Super Bowl champion and Cleveland Browns legend Bernie Kosar (5) was yet another of the most notable players that was forced into a calamitous Chapter 7 liquidation back in 2009, more than ten years after his last game with the Miami Dolphins.